A great hit at any birthday party and enjoyed by both girls and boys alike. 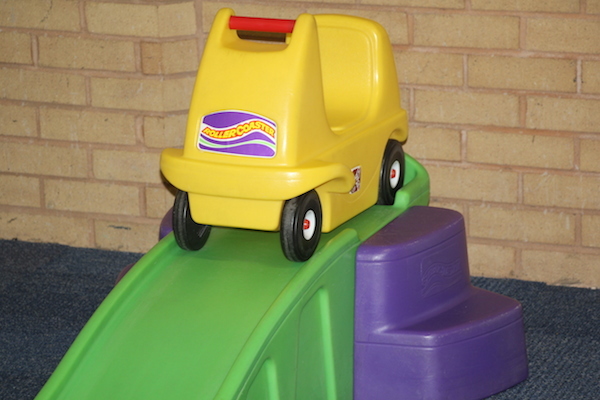 This super Roller Coaster Ride is suitable for children aged 2 – 5. 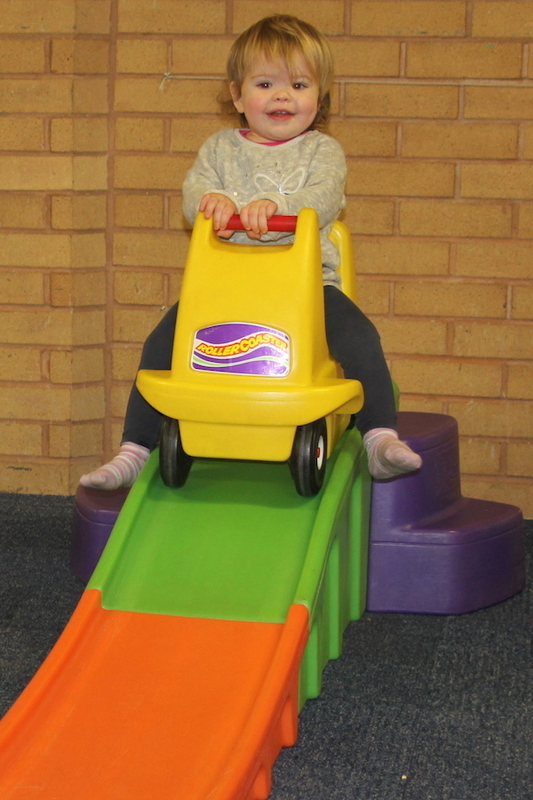 This brightly coloured fun ‘ride on’ is ideal for thrill seeking toddlers and is a must have ‘add on’ at any young child’s birthday party. 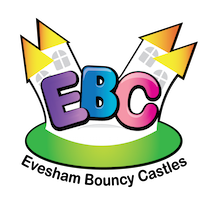 The Roller Coaster Ride can only be hired in addition to a bouncy castle, inflatable or soft play & only suitable for indoor venues. If you would like help choosing a village hall or community centre, please refer to our Halls and Venues page.